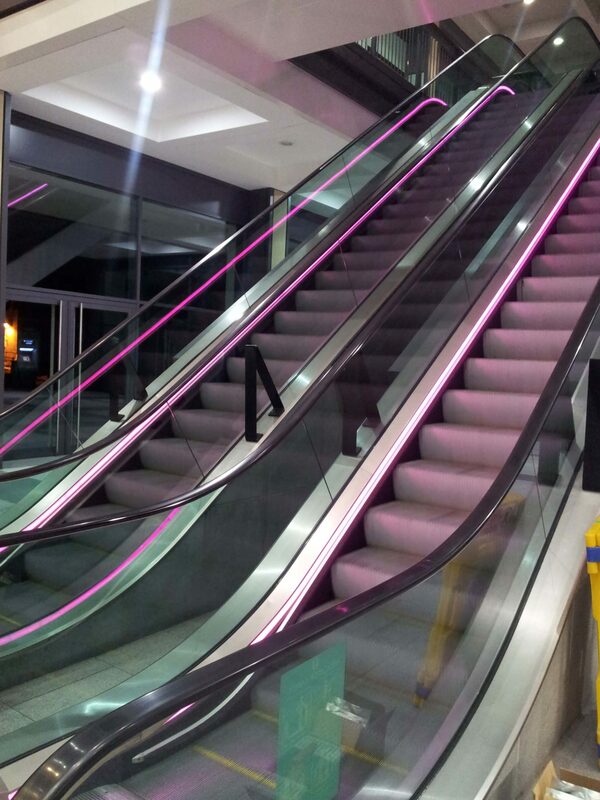 On various occasions we have been asked to help show new ways to illuminate escalators with colour options, giving our clients the chance to have their corporate colours utilised in open spaces. Brief: To allow the client to replace traditional tubes, which often fail, with low energy LED strips made to order for easy installation. 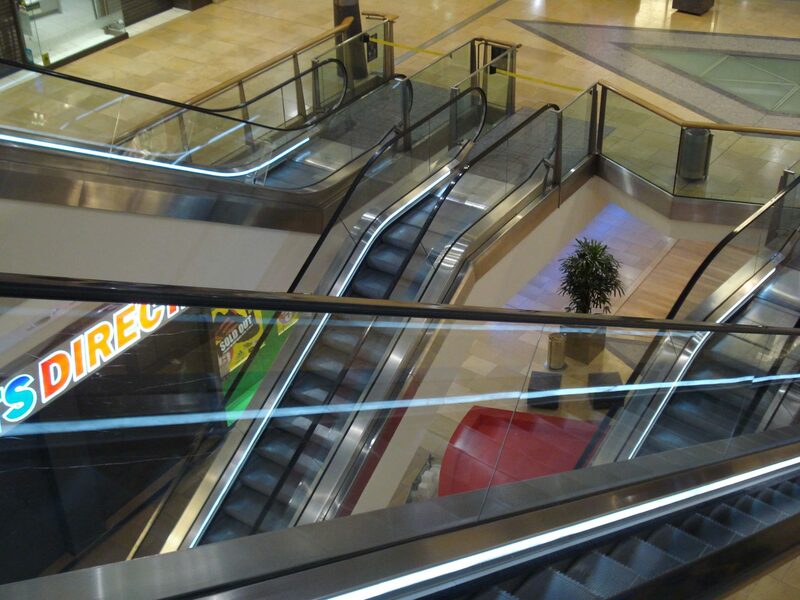 Solution: We showed how LightFlex could be used to give any required light level, with colour and control options. All LightFlex units were supplied cut and sealed to agreed lengths, with power cables made to order, to make the fitting quick and easy.